The Classic Scroll Corbel is not only highly decorative but extremely functional as well. 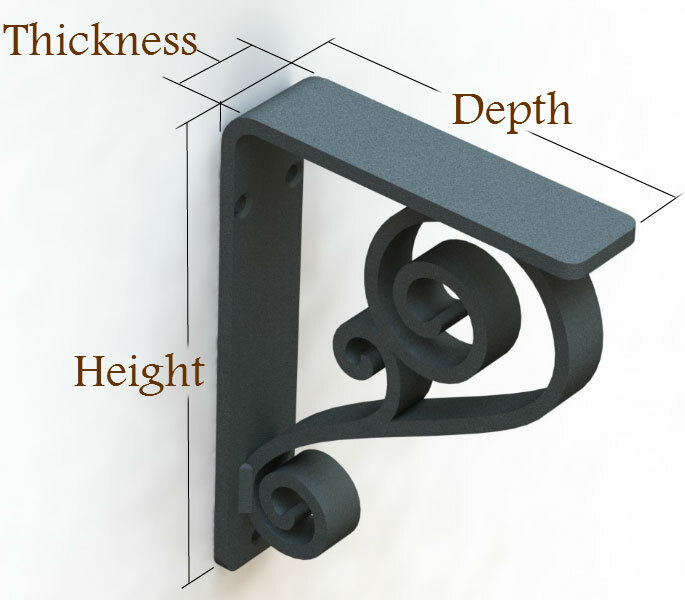 This beautiful solid steel corbel measures 2" wide and is available in the five bracket sizes. Common uses for our Classic Scroll Corbels include granite & stone bar top supports, shelving brackets, fireplace mantel support and many more. 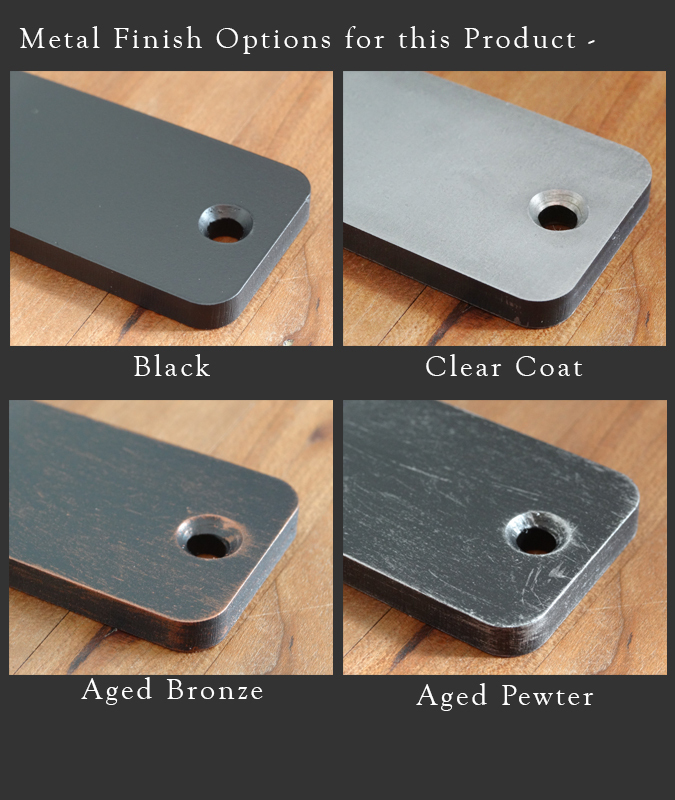 Four finish options, including Black, Aged Bronze, Aged Pewter or Clear Coat over raw metal are offered. An open shelf (mounted high near the ceiling) marching across all four walls would make a gorgeous style statement in the den or home office. I purchased the black corbels. The workmanship and finish were Excellent!! I received my order in a very timely manner. The finished product is beautiful. The material is smooth and heavy with very classic lines and I like the uniqueness of the style. I will tell everyone I know about your product. These two corbels are wonderful, strong and well made. Nice to find quality as opposed to cheap Chinese junk from the big box stores. Corbels are exactly as described. They turned out beautiful and we are extremely happy with how they look on the fireplace holding the mantle. Couldn't ask for anything better. They were received within the timeline stated. These are made very well and arrived in perfect condition. I cannot wait to install them as soon as our kichen renovation is complete.